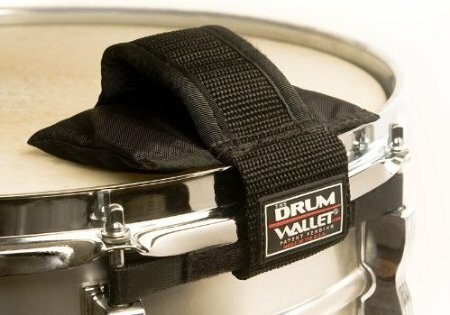 I heard about the The Drum Wallet while attending NAMM and was really interested in checking this product out! 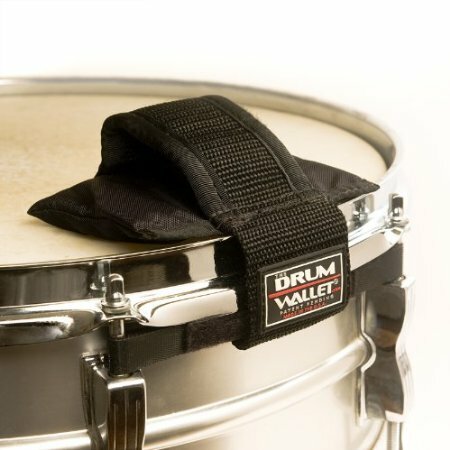 The Drum Wallet is a simple muffling device for the snare drum that enables the user to apply the muffle or remove it on the fly. 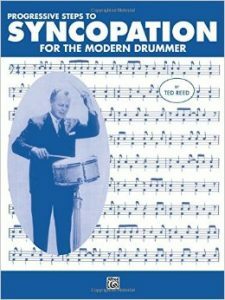 Having the capability of snare tone management on the fly appeals to me since I like to play songs that cover more than one style. 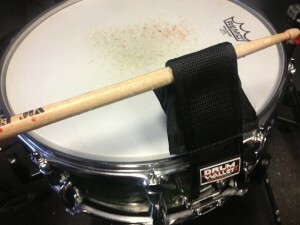 Installing The Drum Wallet on the snare drum was pretty easy. The product shipped with a short list of directions for application which I followed without any issues. I was curious to see just how quickly I could add and remove the wallet on the fly. I attached The Drum Wallet to the left side of my snare drum and then immediately started playing while the camera was rolling. I attempted adding and removing the muffling device using both traditional and matched grips–all while keeping time. My first try was a little rough (as seen below). I soon realized that placing the wallet onto the drum takes slightly more coordination than removing it. Once I got the feel for that it was smooth sailing for both grips! I’ve since taken The Drum Wallet with me on a few gigs and really like the flexibility of having multiple sounds for the snare drum. I’m also looking forward to using it in the studio. You can purchase one on Amazon or on The Drum Wallet’s website. For more information you can check out thedrumwallet.com. I got to experience my first California NAMM show at the Anaheim convention center this past weekend and boy did it live up to the hype. It’s fitting that the convention center is right next door to Disneyland because NAMM is a disney experience for musicians and gearheads alike. Paiste’s new line PSTX line of cymbals also caught my attention. These special effects cymbals actually sounded good with just hitting them with my hands. These cymbals would make a good fit with a hybrid acoustic\electric kit as they are more metallic sounding than most effects cymbals I’ve played. They also added hi-hats to this line which were kinda weird to play but sounded very cool-especially when closing the hats together with the pedal. Check out Paiste’s Andrew Shreve’s demo. Another highlight was Rotodrum. This Italian based company makes an extremely versatile and innovative line of drums. Inventor Riccardo Martinazzi engineered a drumming system that enables the drummer to change the drum tones very quickly by adjusting the position of the top and bottom heads. This means you can change sounds of any drum on the fly. Pretty cool. Perhaps the best innovation about these drums is that you can place the mic directly between the batter and resonate head. 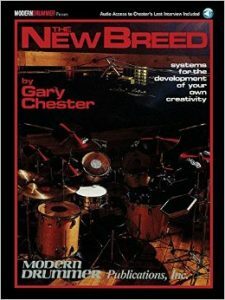 They also make a three headed snare drum which gives you endless sonic capabilities. Rounding out some of the other highlights for me in the custom drum category was getting a chance to play a birch Sakae kit, the beauty of the new maple Craviotto timbales, and the great tone of the Brazilian based Odery drums. I’ve been meaning to write a review for the HingeStix since I started recommending them last year. 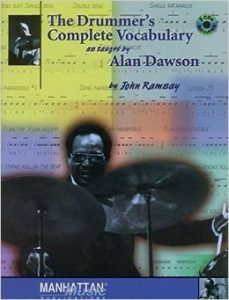 Basically, they are a training drum stick to help students with the concept of rebound as well as to teach them proper grip. 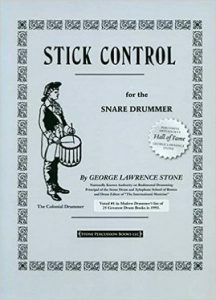 Drum educator and musician Sam Ruttenberg developed these sticks for his students. Sam (whose father was a machinist) decided to create a hinge in the grip area of the stick. He did this by drilling a hole through the stick for a pin to connect swivel pads on each side–one for the thumb and the other for the index finger. His concept was to simulate the stick’s natural rebound while forcing proper grip (fulcrum). With the sticks now “floating” on the hinge, Sam’s students had to relax their grip and keep all their fingers connected to the sticks in order to operate them. The design of the hinge essentially forced students to play utilizing the stick’s natural rebound. 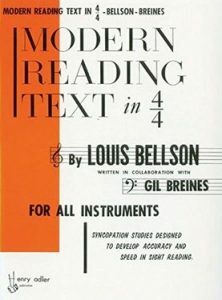 They also forced his students to use their back fingers to propel the stick all within the framework of a proper fulcrum. This tool helps my students in three areas. First, HingeStix enable grip relaxation and internalization of the stick’s natural rebound. Second, HingeSticks teach proper thumb and index finger fulcrum while utilizing German grip. Third, it helps them with incorporating their back three fingers to propel the stick. Also, I think they are a great tool for any level player to circle back and check-in with their grip. I like warming up with them to get my back fingers going! You can buy HingeStix at https://hingestix.com.